CSIRO, a partner organisation of the SKA, have been running regular school mentoring sessions over the past year with students at the Pia Wadjarri Remote Community School, which is the closest school to the CSIRO Murchison Radio Astronomy Observatory (MRO). Pia is a small community in the Mid-West of Western Australia and about an hour drive from the Observatory, with the school serving Primary and Secondary students, most of whom are of the Wajarri Yamtji people, (the traditional owners of the MRO site). 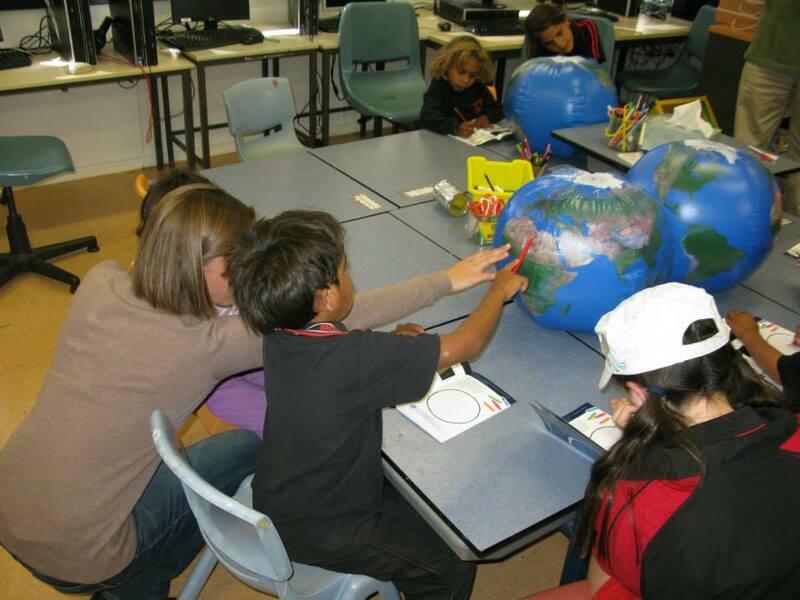 This program has been led by CSIRO Education and Outreach Officer Robert Hallow and also involves ASKAP Aborginal Liaison Officer Leonie Boddington, ASKAP Project Scientist Lisa Harvey-Smith, and astronomer Yannett Contreas. “A mentoring program is a little different from traditional outreach activities in that we try not only to inform and inspire students with our subject matter, but also to provide a lasting relationship that enables students to grow in confidence and develop an enhanced sense of self. At the end of the day I always feel satisfied that we have made real progress with trust, cultural awareness and furthering education/careers,” says Lisa Harvey-Smith. Mentors have the opportunity to visit the school in Pia and engage and interact with the students and even the teachers in the classrooms that specifically explore the relationships between the earth and the sky, the land and animals of the region and also the nearby telescopes. This however gives the mentors a chance to learn from the students. 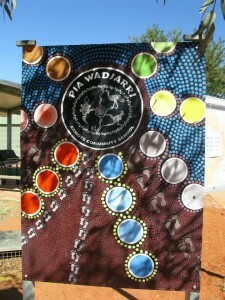 They are able to discuss about traditions and the Wajarri language and the meanings associated with the traditional Wajarri names, which were assigned to the 36 ASKAP antennas that took place at a community naming ceremony. There are also opportunities to have guided tours of the MRO, which has been well received and seen as a pivotal day for the staff, students and mentors alike. 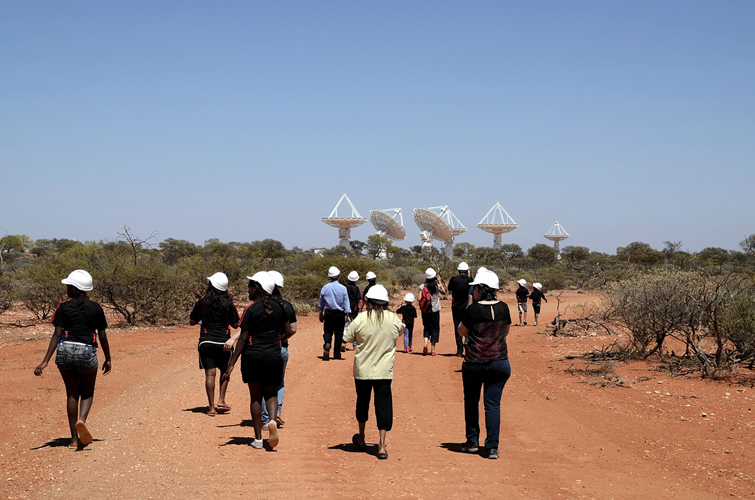 Naturally a look inside and around of the ASKAP antennas was a highlight, not to mention the hard hats – a novelty for some of the younger children. This mentoring program is and has been a great opportunity to make an impression on the students, and form the basis of an ongoing relationship with the school that will prove to be valuable and influential in the lives of both students and mentors.